Where flexibility and reliability in demanding environments is paramount, the RPX4600 will meet the challenge. RCA’s RPX4600 handheld radios meet all Project 25 (P25) specifications for Police, Fire, Ambulance, and other emergency services. 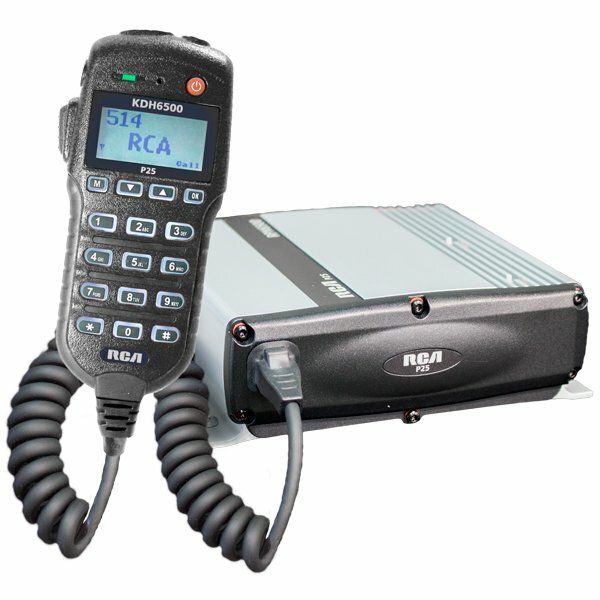 RCA’s P25 radios include MultiCom™ software, an advanced system that enables each radio to conform to today’s standards as well as future requirements. These heavy-duty radios are highly customizable and will meet or exceed the needs of demanding public safety users. Safety and Emergency Functions such as Lone Worker, Stun/Kill/Revive, Emergency Alarm and optional GPS/Man Down. Large PTT Button and Channel Switch with 3 Position Zone Select makes working with the radio, switching channels and zones an easy task even when wearing gloves. 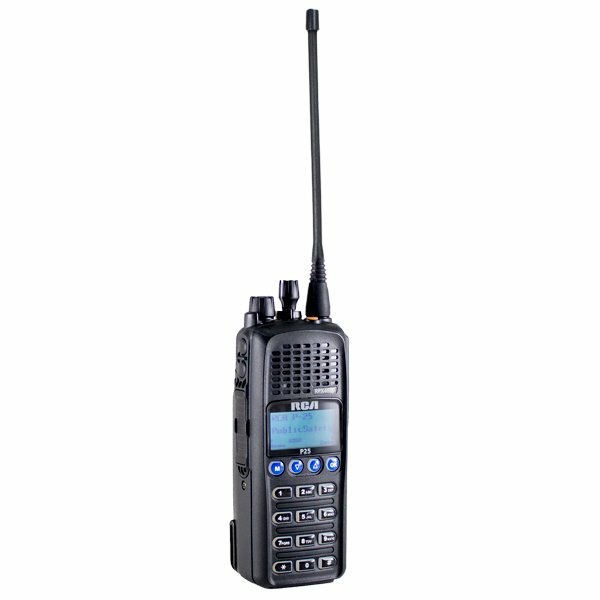 7 Programmable Function Buttons allow you to customize the radio to your agency’s specific requirements. Large Dot-Matrix Display with bright backlight makes the radio easy to read, navigate through the menu and radio functions. Large Channel Switch with 3 Position Zone Select Option makes the switching channels and zone an easy task even when wearing gloves. Durable and Reliable design that meets Military Specs (MIL-STD-810C/D/E/F) for durability, shock, droppage, extreme temperatures, solar radiation, vibration, rain, humidity, salt fog, blowing dust and sand. 5W of Power provides maximum signal strength and coverage while lasting up to 11 hours on a single charge with a typical 5:5:90 usage. 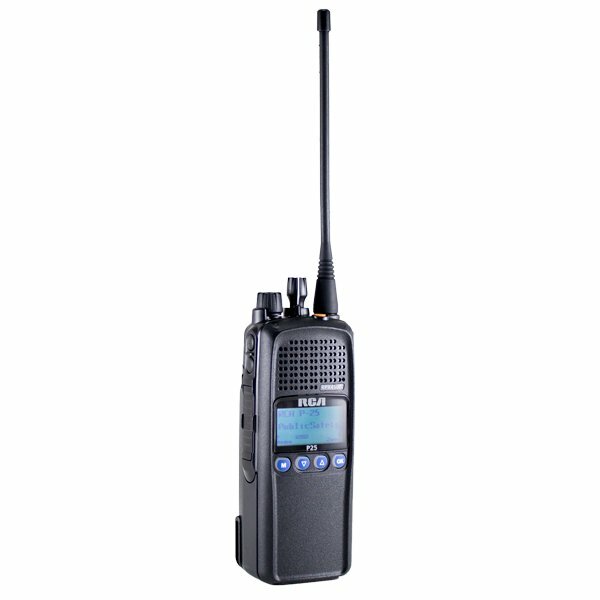 IP67 Rated makes the RCA’s P25 handheld radios completely WaterProof (Submersible 1 meter, 30 minutes) and DustProof. Multi-Pin Screw-In Accessory Connector enhances the performance of the radio and helps to hold your audio accessory securely to the radio’s chassis while keeping it’s watertight capabilities. 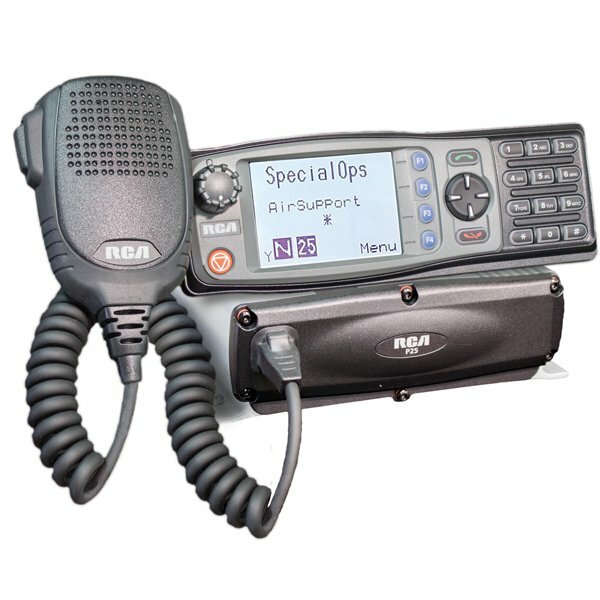 Frequency Bands – VHF 136-174 MHz; UHF 400-480 MHz; UHF 440-520 MHz. Power Output – 1 to 5 Watts (3 programmable levels). IP67 Certified – Yes, Submersible 1 meter, 30 minutes. Dimensions – (H) 5.8 inches (147mm) x (W) 2.5 inches (63mm) x (D) 1.4 inches (36mm). Weight – 12 ounces (0.35kg).